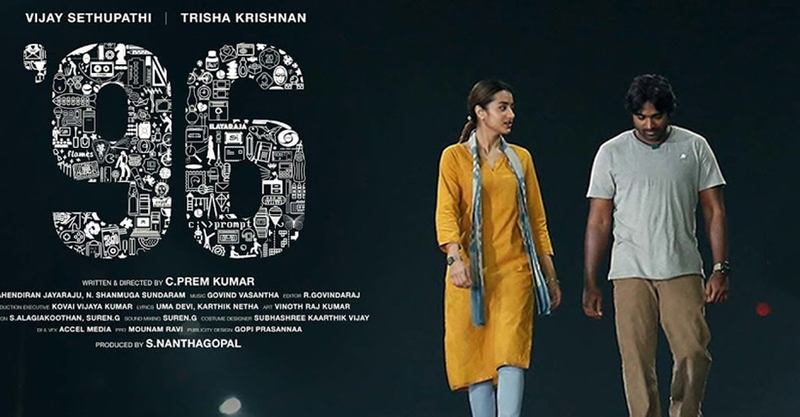 Vijay Sethupathi’s upcoming Tamil romantic-drama 96, which also stars Trisha Krishnan, is all set to be remade in Telugu even before its release. Slated to hit the screens worldwide on October 4, the film’s remake rights have been acquired by Dil Raju, and his PR team has already verified the news. While it’s yet to be officially announced who will star in the Telugu version, reports have emerged that Nani has shown strong interest in the film. Apparently, he was really impressed with the trailer and immediately decided to be part of the remake when he was approached with the offer. 96 director Prem Kumar, confirming that the remake rights have been sold, told TNM at the film’s press meet on Saturday in Chennai that he isn’t sure if Nani has been signed. 96 will see Vijay Sethupathi join hands with Prem Kumar, who had previously worked with him in Naduvula Konjam Pakkatha Kaanom. In the film, Vijay will be seen playing a travel photographer and the story will track different stages in the life of his character. The story will focus on Vijay as 16-year-old and 36-year-old characters. According to the director, 96 is a coming-of-age story of two phases in the life of Vijay Sethupathi. It’s worth mentioning that Vijay already played a 50-plus character in his maiden production Orange Mittai. In Soodhu Kavvum, too, he played a character quite older than his self.